The large number of visitors at huge display aquariums (e.g. Sealife Speyer, Wilhelma Stuttgart or Vivarium Karlsruhe) shows the fascination of fish for young and adult observers. Unfortunately there are hardly any cold-water aquariums with native fish species among these display aquariums. Currently there are more than 50 fish species in the Rhine, 37 of them being considered as “native”. Native means, that the species naturally occur here. More than 10 species are not native, that means alien species which have been introduced by humans or have invaded through artificial channels (e.g. Rhine-Main-Danube-Channel) from other water bodies. Here you can find out which native fish-species protected by the Habitats Directive are living in the project area. Eel, perch, pickerel, asp, barb, bream, chub, carp, nase, roach, rudd and tench. Only the asp is of European importance as according to the Habitats Directive. With the project “fascinating diversity of fish species at the Upper Rhine” young natural scientists get the opportunity to experience fish at close range and get to know their habitats. 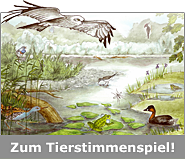 A booklet especially developed for school classes offers fascinating information on the fish fauna in the rivers Rhine and Murg. Selected schools and other organisations get special support in establishing and maintaining cold-water aquariums, allowing young nature scientists to observe native fish at close range. Guided tours will be offered to school classes and youth groups with water-biologists and nature educators to interesting fish water (e.g. re-design of the Murg in Rastatt). The offer is mainly aimed at pupils and teenagers og conservation organisations and fishing organisations. Here they can collectively explore together what the life+ measurements mean to the fish and how help can be provided best for the endangered fish species.